CAD Forum - Setting the G0, G1, G2 continuity of lofting. Setting the G0, G1, G2 continuity of lofting. In the parameters of the LOFT command you can specify the level (order) of continuity, smoothness between profiles of the new surface or solid body. After you specify the source profiles, use the Settings option and in the dialog "Loft Settings" set the continuity for Smooth fit (LOFTNORMALS). Tip 7800: How to model a 3D hyperboloid? 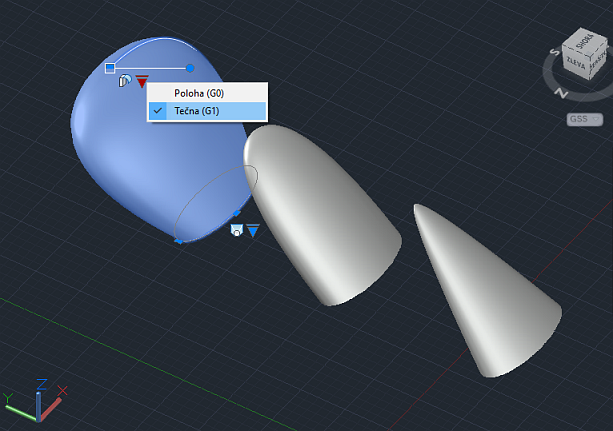 Tip 7267: How to make a 3D solid from a series of profile outlines? Tip 2231: How to read a coordinate list into Inventor (sketch)? Tip 996: How to unfold 3D model (e.g. sheetmetal) into 2D? Selected tip: Borders and X on decals in Revit. 3D offset of a surface. « | » Analysis of stability - will it upset?